Hi hi lovelies and foodies. 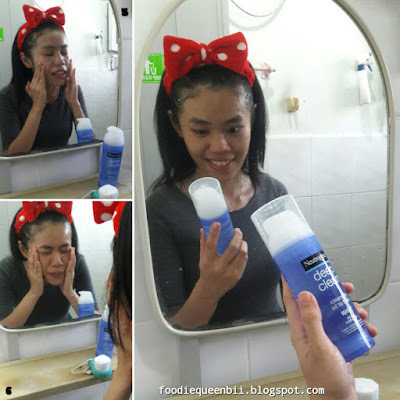 Hope you guys having a beautiful day as staying beautiful is everyone's dream ^.^ Today's story is about a beauty sharing review since we do talk about foods this few days (though I know our main topic are about FFOOODDDDSSSSS la xD). 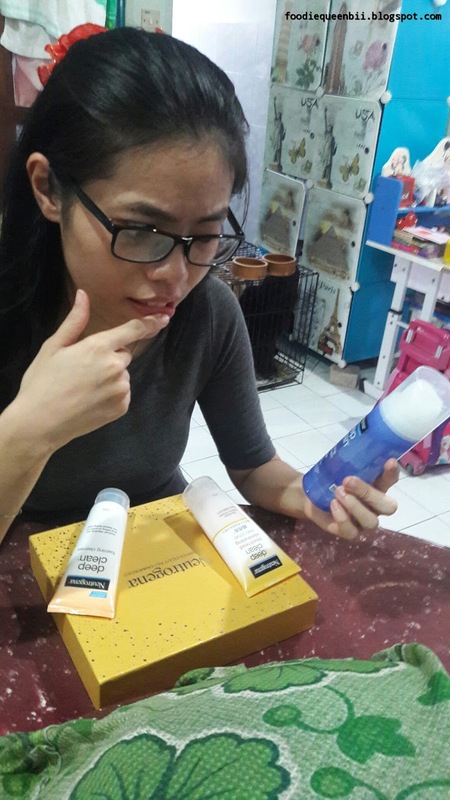 Since I was a kid, I didn't take good care of my skin as busy with sports life and outdoor activities is my lifestyle when I was at the high school age (in other words, LAZY is the main point ^^'''). When at the stage of working life, I do feel a lil regret for not taking good care of my skin as my skin have a lot of scars that caused by pimples and carbuncles which also made me a lil shy to meet people. I know makeup is the solution to cover up the troubles, but for me, myself don't really put on makeup except for events or big meet ups need to attend (in other word, LAZY again lo.. xD). So, having clean and healthy skin is what I want the most as having a natural beauty is my dream. ^.^ Therefore, I take up this Happy Skin 24/7 challenge by Neutrogena to remind me that taking care our skin is not that hard as we thought. 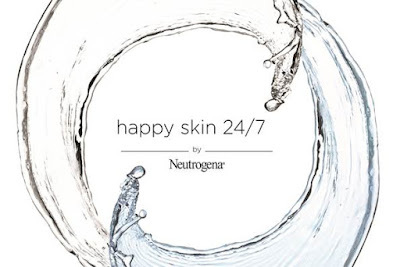 Neutrogena® are always been the #1 dermatologist recommended skincare brand as their products are mostly dermatologist tested and are non-comedogenic products that create effective yet gentle to our skin when using. 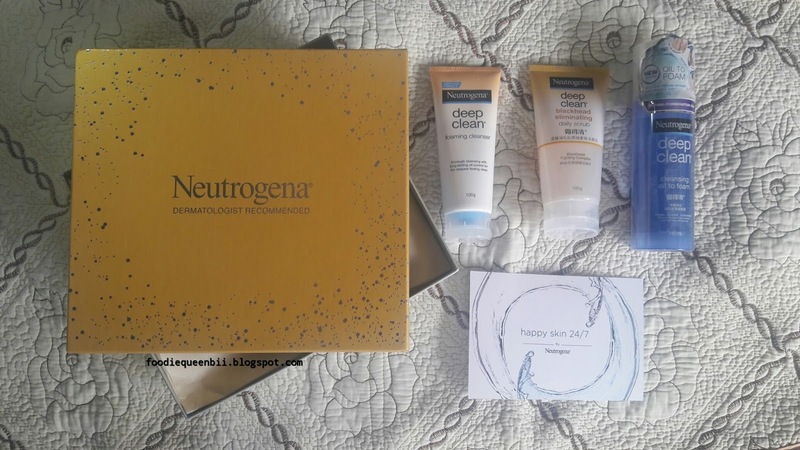 When I received the Happy Skin 24/7 challenge gift box, is time for me to know more about Neutrogena®. 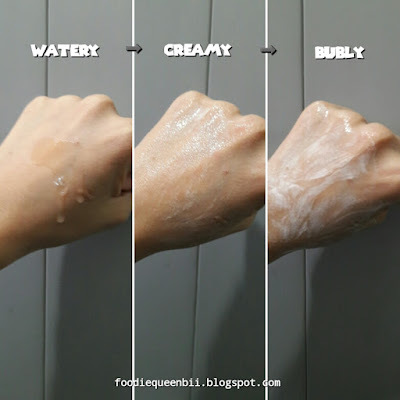 My skin is more to dry type where pimples, blackheads and even carbuncles pop up easily when our skin produce more oil to hydrate our skin (my mom keep call me to drink more water when she saw pimples popping out ^.^''). My skin is getting worse if I put some makeup on as makeup do blocks our skin from 'breathing' (is a term that my mom tells me when I started on learning to put makeup on ^^''). So, all I can do now is check the products out to see which can save my life from such annoyance issue. Last but not least, this Neutrogena® Deep Clean Hydrating Cleansing Oil to Foam product do give me full of surprise. This is my very first trying such convenience product that can remove makeups while cleaning your face at the same time (serious..0.0b). With cucumber extract that helps in moisturizing and refreshing, this is the best product that can clean your makeup away like makeup removal! 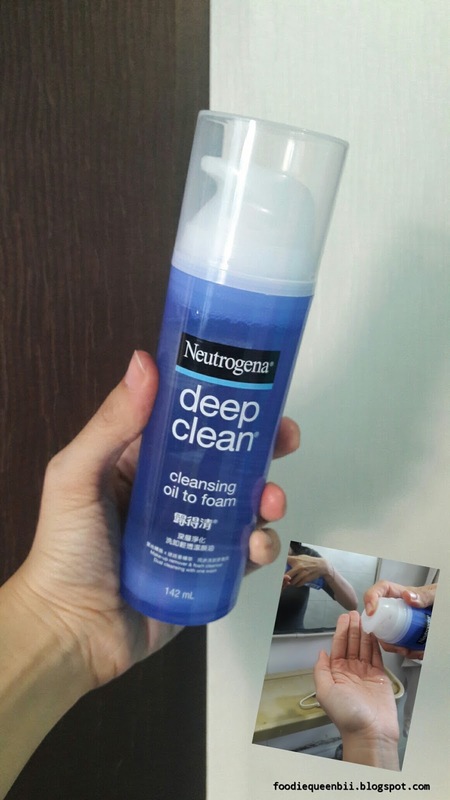 This oil-gel Neutrogena® Deep Clean Hydrating Cleansing Oil to Foam product contains Oleifera leaf extract that can easily remove all day traces like makeups, dirt and oil with one simple rub off and wash! 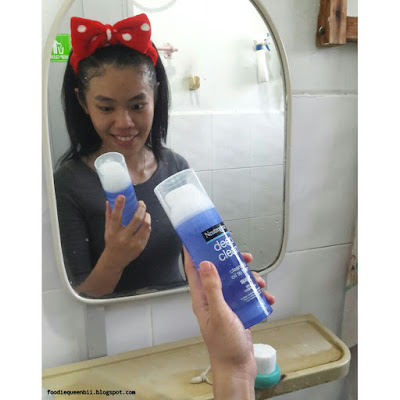 Is like a dual cleansing with one wash yo. I'm didn't put makeup on while trying this. 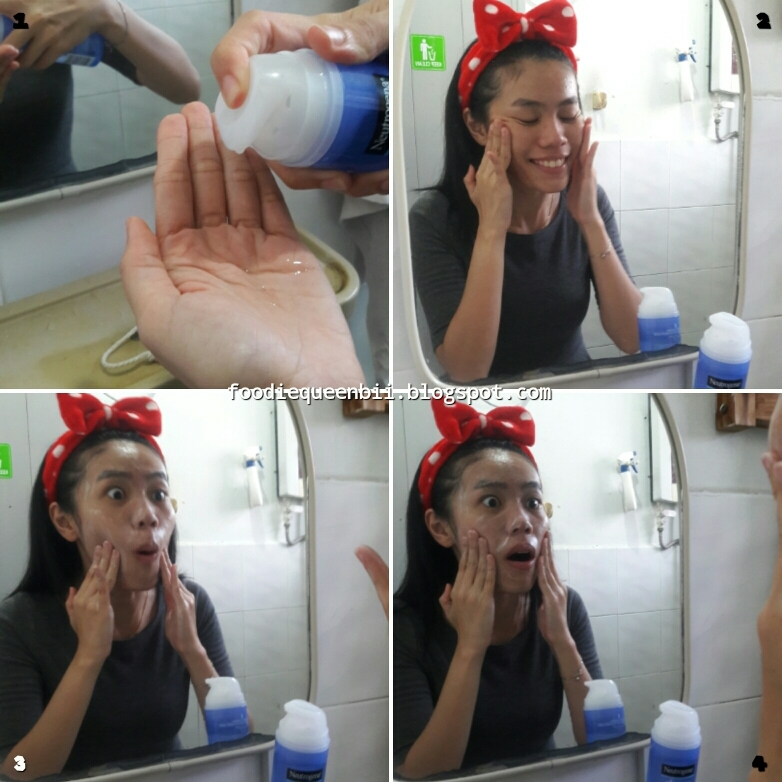 So why not show you guys the effectiveness of makeup removal with this oil to foam product? Seriously, among these 3 products, I love the Neutrogena® Deep Clean Hydrating Cleansing Oil to Foam the most as this product do make me feel is a must have tool for many issues as this is the solution product of all my troubles. 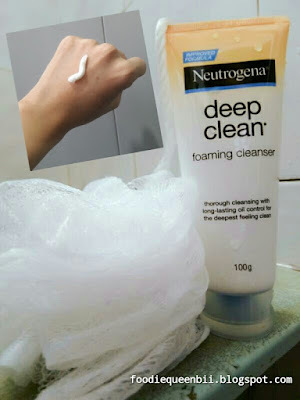 So yeah, let me share with you my personal review on this Neutrogena® Deep Clean Hydrating Cleansing Oil to Foam to let you know how much I love this product. So do I love it? Why? I do use Neutrogena® products since I'm in college life and looks like Neutrogena® made me fall in love with it more with such awesome product that worth to have. 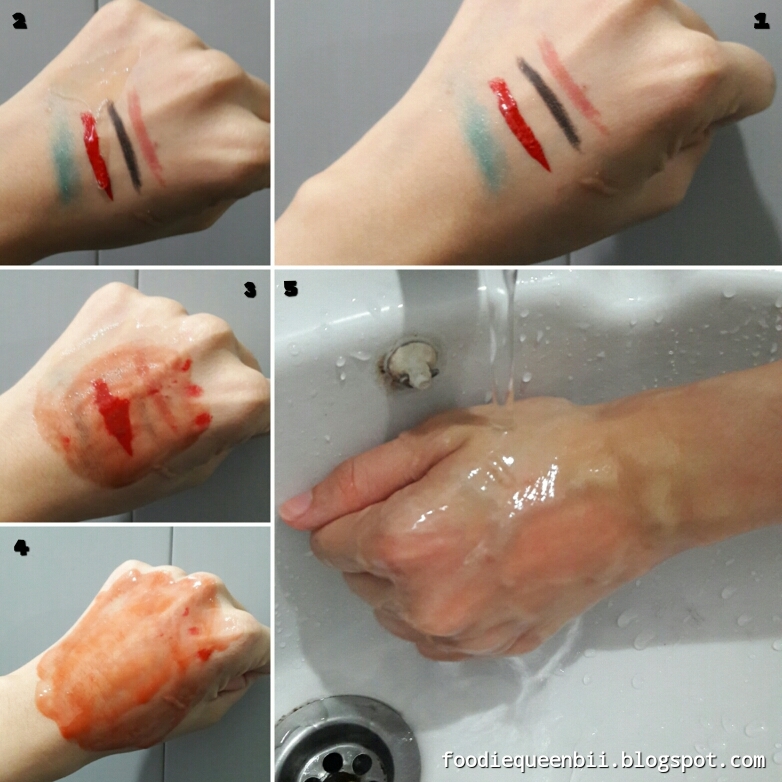 Dual cleaning with one wash is my favorite beauty tagline starting from now. And that's all for today's beauty sharing. 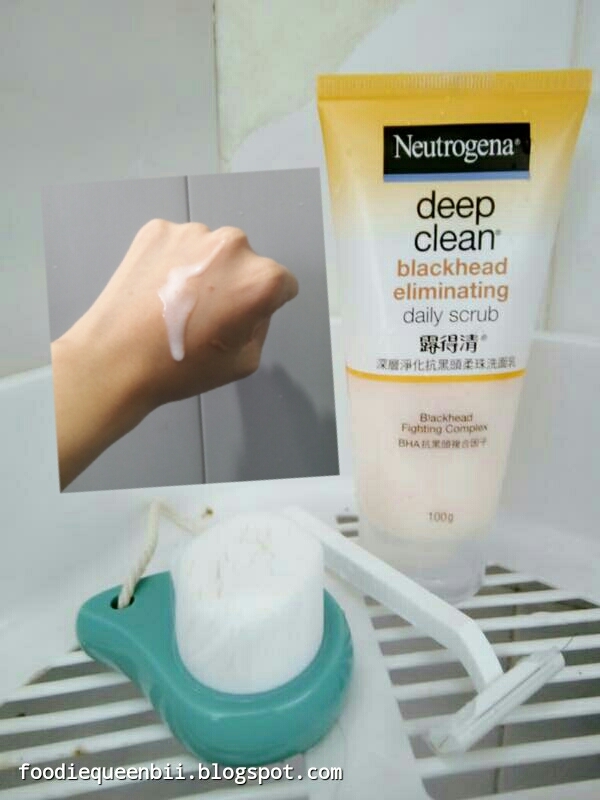 Here, I need to thanked Neutrogena® for giving me such beauty opportunity to know that being beautiful is easy. So all I can say is wait no more lovelies and foodies. Grab one and try it now to understand how this Neutrogena® Deep Clean Hydrating Cleansing Oil to Foam works like my cousie. With her sensitive skin, she love this product so much after her first try as she told me that she can feel her skin is still moisturized instead of dry after wash where is very new to her. How about lovelies and foodies then?